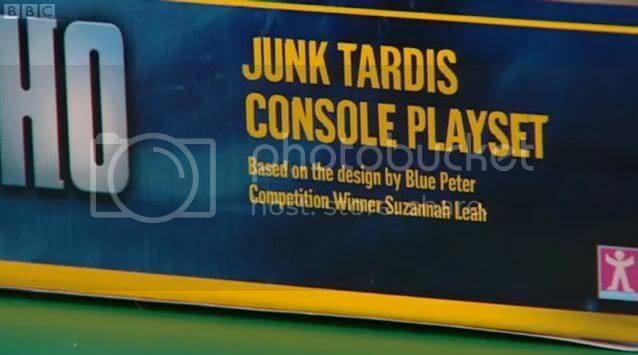 As reported this morning, the latest edition of Blue Peter broadcast today featured an item on the winning design in their "Design a TARDIS console competition". Presenter Helen Skelton introduced the item, in which she accompanied the winner Susannah Leah to the Doctor Who studios in Cardiff to meet production designer Michael Pickwoad, who realised her design into a practical prop. 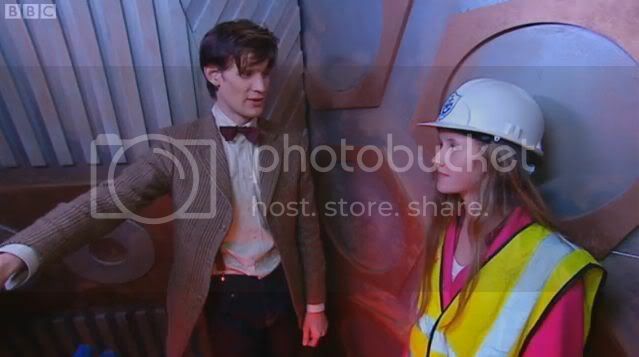 A week later the two were then able to travel to the filming location itself in order to see the completed console in action; Susannah got to see part of the shoot, and was also able to meet the Doctor himself, Matt Smith! 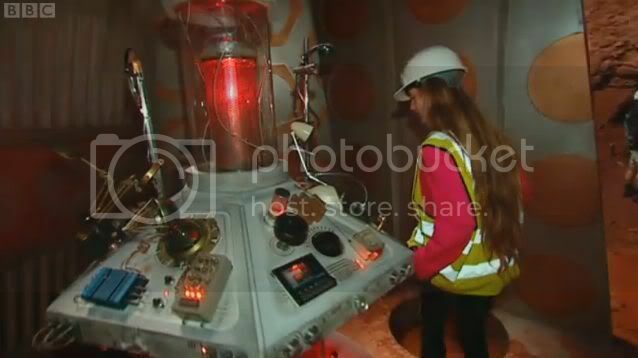 The show has also exclusively announced that Susannah's TARDIS console design is to be released by Character as part of their tie-in Doctor Who figure range. 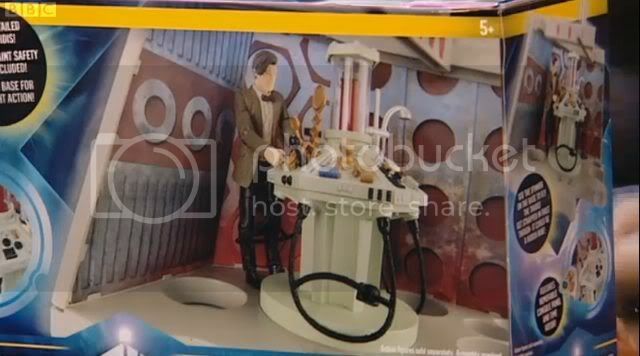 Named the "Junk TARDIS Console Playset", it is expected to be released later in the year. This edition of Blue Peter is available to watch in the UK on the BBC iplayer for the next seven days (the Doctor Who section can be found from 12:46). There is also an exclusive behind-the-scenes video to accompany the feature, which may be watched on the Blue Peter website.